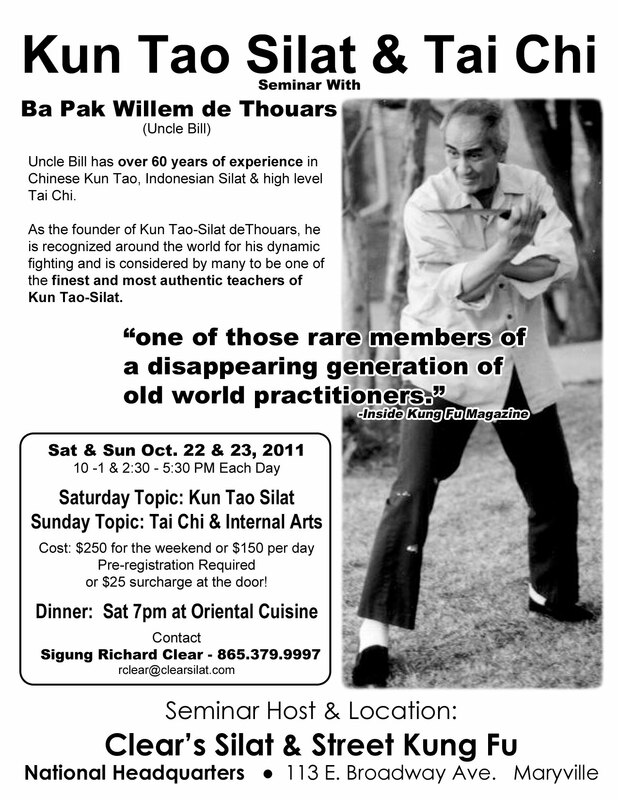 Don’t miss this exclusive Combat Tai Chi Wokshop! 10am – 6pm each day. There will be a 45 min break for lunch each day. 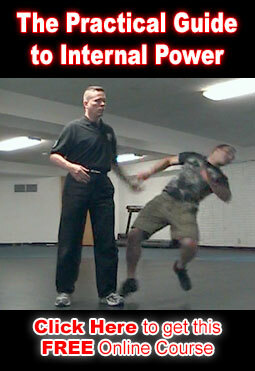 Intro to Tai Chi Dim Mak – including Overloading the system, Blocking the System, Draining the opponents energy system and a lot more. Clear’s Combat Tai Chi begins filming in January and You’re Invited! You don’t want to miss this event! Participants will receive live hands on instruction and correction for a fraction of the cost of the DVDs. This workshop will contain a lot of the high level hard to find information that many people spend years just trying to find, much less acquire. We highly recommend that you bring a notebook and take a lot of notes. Plus everyone who attends the workshop will receive a %25 discount on any of the DVDs we film that weekend. The Uncle Bill Seminar was Excellent! Here is a clip of him doing some Tai Chi, Bagua and Monkey.